The plethora of plant-based cooking oils on the market today often make it difficult to determine when to use which one during meal preparation. Two of these oils, rice bran oil and sunflower oil, have similar nutrient profiles at 120 calories and about 13 grams of fat per tablespoon. Both oils deserve a place in a healthy diet, but they do differ in their nutritional value. Both sunflower and rice bran oils are naturally free of cholesterol. According to 2005 University of Rochester research, a natural component of rice bran oil has been found to lower cholesterol in rats. Sunflower oil offers more heart-healthy monounsaturated fat per serving -- 7.8 grams per tablespoon, compared to sunflower oil's 5.3 grams. Both sunflower and rice bran oils are low in saturated fat -- 1.3 and 2.7 grams per serving, respectively. You've likely heard of omega-3 and omega-6 fatty acids, the main essential fatty acids in the human diet. While both oils contain high amounts of omega-6 fatty acids, neither contain many omega-3 fatty acids. 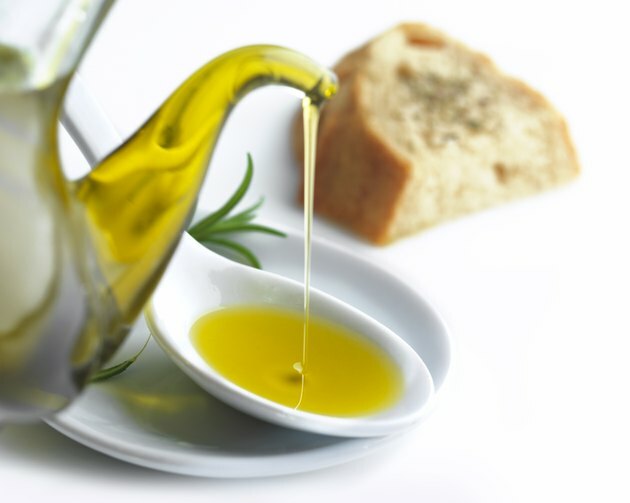 While this doesn't cross them off the list as effective cooking oils, it does warrant that you monitor how often -- and how much -- you're eating, because most Americans already consume too much omega-6 relative to their intake of omega-3. Use omega-6-rich oils in moderation, and get some of your dietary fat from nuts, seeds and fish in order to achieve a lower omega-6-to-omega-3 ratio in your diet. Both oils contain vitamin E. Sunflower oil is higher in vitamin E than rice bran oil -- 5.6 milligrams per tablespoon, or 37 percent of the recommended daily intake. To compare, rice bran oil contains 29 percent of the recommended daily value of vitamin E in one tablespoon.. Both oils are better for cooking at higher temperatures via methods like stir-frying or searing. With a smoke point of 450 degrees F, sunflower oil's light flavor makes it a favorite for frying and baking -- but not for drizzling. Additionally, it can be part of margarine and salad dressings. Rice bran oil is also useful for high-heat cooking, but it is slightly more versatile in that it can be used for drizzling and other cooking applications.